A Release Date Has Been Announced!!! Hi everyone! 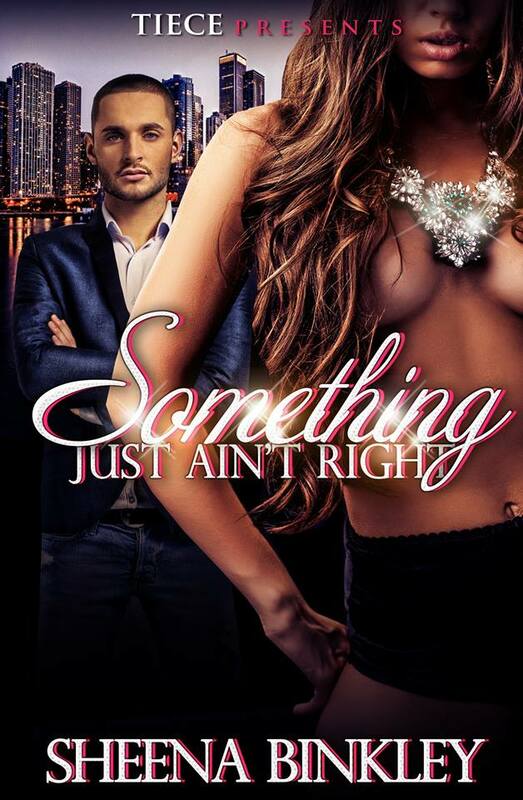 Well, Tiece herself has announced that Something Just Ain’t Right will be released next Saturday, January 10th!!! It will only be available on Amazon. I am super excited for this book to be released because I have definitely stepped out of my comfort zone with this book. It has everything from romance to suspense to every twist and turn you can imagine. In other words, this book along with the entire series will be a great read! Before the release date, I will share an excerpt from the book for you all to read. Trust me, you will love the story and the characters. Morgan Carter always lived life on the edge. He never cared about anything or anyone until he set his sights on Hayley Stevens. Morgan has known Hayley since she was wearing pigtails and carried around her Cabbage Patch dolls everywhere she went; but as time passed, he noticed the little girl that used to follow him and her brother, Lamar, around isn’t quite so little anymore. She has become a beautiful woman he wants to know but can’t since Hayley is his best friend’s sister. The first day Morgan walked into the Stevens’ home, Hayley immediately noticed him. As time passed, she started to get Morgan’s attention, in more ways than one. She know she’s playing with fire, especially since her brother doesn’t want him anywhere near her, but she’s determined to make Morgan hers, even if it destroys the relationship she has with her brother and the life-long friendship between the two. When they finally give in to their attraction, they are faced with several issues which make them wonder who to really trust. When a big secret is revealed, they both have to come to terms with who is really for them or out to get them.